The Calendar of events taking place in the St-Roch district is now available for online consultation. 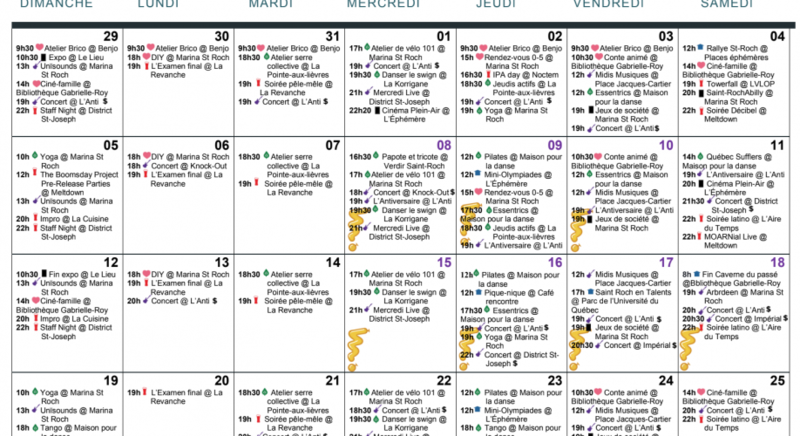 You will find in this calendar the activities planned in August by the St-Roch community. Click here for the PDF document or contact us at info@sdcstroch.com for paper copies.